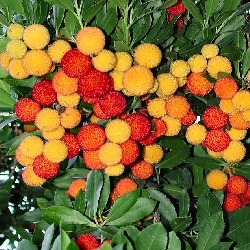 A really delightful small tree with a marvellous spreading habit, the Strawberry Tree (Arbutus unedo) will grace a garden with it interesting peeling brown bark and shiny vivid green leaves. An exhibition of colour during autumn, when the white flowers often tinged pink, are formed and the fruit from the previous year turn the strawberry red colour and not dissimilar in appearance to Strawberries. The fruits are not edible. This tree is suitable for a wide range of situations and it will tolerate coastal gardens and chalky soils . Expect a final height of around 8m. Our Strawberry trees are supplied at a height of 90cm- 220cm for year round planting and better results than from bare-root or rootballed stock. Arbutus Unedo usually comes with two shape options, single stem and bush, if we are only showing one shape in the description above then we are currently out of stock of that shape. A single stem will have been pruned to have a clearly identified single main stem with smaller branches coming off the sides. A bush will have several main stems starting very low down with smaller branches coming off the sides. The drawing of the Arbutus Unedo shows a rounded tree which is what it will look like if you leave it alone. 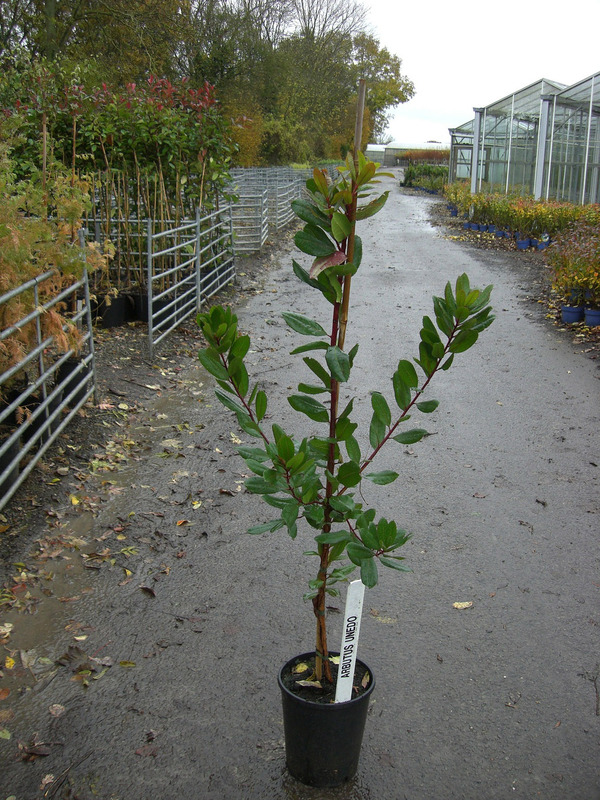 The Arbutus Unedo that is delivered will be more upright and columnar but will bush out in time.